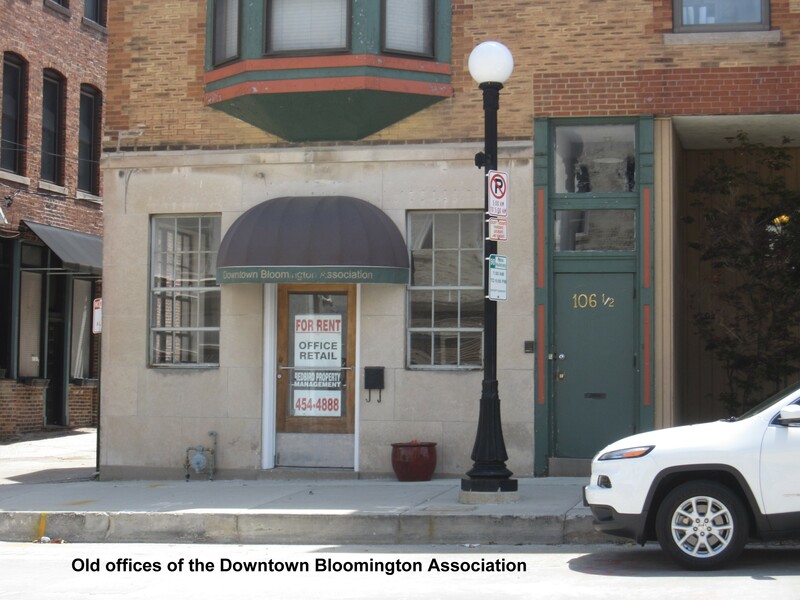 Posted in BloNo, Bloomington, downtown hotel, Local, Progressives, Renner, Taxes.Tagged DBA, Downtown Bloomington, Downtown Bloomington Association, empty space, for rent. The DBA was subsidized with tax dollars in the amount of $95K/year. The citizens were providing the rent for that building. $90,000 I think. That subsidy was supposed to disappear. It never did – so they hired the people who failed. Brilliant. Hahahahahahaha,,,DBA for rent while trying to lure more business into a very vacant downtown,,,so stupid, so stupid. LMAO at the stupidity! I’ll probably carry this smile on my face for hours. Geesh, have Trish grab a ladder and a cordless drill and go down there and take that awning down. Lawrence, SLAP that penguin off your TV set NOW! This REALLY isn’t funny, as it’s tax money that COULD have gone to MANY different places that NEED it, and NOT THE ZOO, which zoo? The DBA was a one sided, prima donna excuse for some dolt to have a high $$$ job, nothing more, nothing less. And as for Penguins they come from the Antarctic. NOT the zoo..
NOW, just watch out for your TV set! Tell me about it – the Penguin on the top of my television (before it explodes) is going in the trash first thing today. Note: This is a joke that only Monty Python Fans understand. NAW, You’re to smart fer that two! Tomorrow the history of the universe! As an aside, they shoulda been able to BUY that darn place for $90K.. But that;s the folks in charge? Yes, I think that the city council in either of these towns would want me removed after the 2nd meeting… We definitely have the C minus team running everything in this area… and our “leadership?” An Ivory Tower college professor and a Bicycle shop owner? What could go wrong besides just about everything? Add the entrenched crony system and you have a mix that is sure to turn this area into the new little Detroit on the Prairie.